Legal practitioners in Georgia may not see non-compete rulings like this for much longer. As reported extensively in Seyfarth Shaw’s blog, Trading Secrets, the Georgia legislature may be on the move with respect to recasting employee non-compete law. The pro-employee bent to Georgia’s law deals with the blue-pencil rule; any overbroad provision can kill a non-compete agreement. From this practitioner’s viewpoint, some of the handwringing over the blue-pencil rule is way overblown. Lawyers responsible for drafting these contracts ought to be more pragmatic. If an employee has an overbroad contract, at least he or she has a predictable result should the agreement be challenged. The fluidity associated with the blue-pencil rule yields uncertainty. In Global Link Logistics v. Briles, the employee's non-compete barred him from working for a competitive business for two years in any capacity whatsoever. It was this last part - the lack of any activity restriction whatsoever – that doomed his former employer. 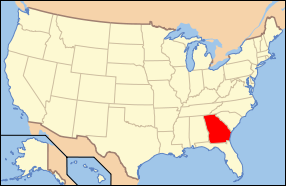 In Georgia, like Illinois and many other states, a non-compete must be reasonable in terms of (a) time, (b) geography, and (c) scope of activity. As to the third reasonableness component, the non-compete should put some parameter on the type of work that is off-limits. Generally, if there is a reasonable nexus between the employee's actual job function and the restricted job classification in the non-compete, a court is likely to find it reasonable. Patently overbroad clauses that bar a wide range of job activities or a complete ban on working in an industry, however, won’t cut it under Georgia law or the law of many jurisdictions. So Briles’ non-compete failed. The result was obviously correct. The better analysis for non-compete agreements is to put the employer under an obligation to draft it reasonably and suffer the consequences for shoddy work. 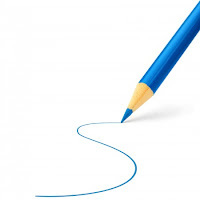 If a blue-pencil rule is sanctioned by a court, it at least ought to have some bite - such as foreclosing the opportunity for damages or fee-shifting to the employer. Conducting an analysis based on the rule of reason (itself an antitrust derivative) is more preferable than having have courts get wrapped up in the fact-intensive, expensive process of determining whether a legitimate business interest supports the covenant. That rule has led to inconsistent and, frankly, bizarre results.